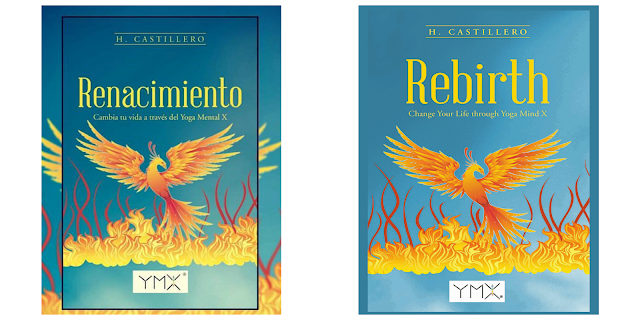 Babushka received a copy of el libro Rebirth YogaMindX, finalist in the International Latino Book Award, from mi amigo, author Humberto Castillero. This post is totalmente the opinion de esta vieja aventurera. The Phoenix, mythical, mystical ave that lived for 500 years, would set itself on fire, to be reborn new and ready to live again. How many of us have done the same? Quee?? JU SO FONII!! Ok si, maybe no literalmente setting ourselves on fire, but following life sin parar, just plowing ahead, not really seeing our surroundings or the important things in it, only to be pushed to the point of destruction. As we say in Cuban, humans are "Hijos del maltrato" and only learn by experience. And sometimes not even then. Mi amigo Humberto Castillero went through such a life altering event and has realigned himself with life and what is his life lesson/mission. Thankfully for us he has shared that experience and offers a vision, solution, way of living, that may save us from fireburn. Cuando BB met Humberto at a #850Latinos networking event sponsored by Conexion, he struck her as a personable man with a gentle, quiet power, but who came alive when he spoke of his journey and what he had learned. When you read this book you'll understand what Babushka felt. His historia is thorough and heartfelt and he tries to share all that he lived and how life is now with a clearer understanding and path. Ejemplo of some of YMX chapters, Journey, 15 Universal Truths, The Rebirth Cycle, Evolution of Yoga, Yoga Mind, Meditation, Body Yoga Poses, Yoga, Philosophy. for those who've been through the fire. P,S. A giveaway of this book is coming soon. OJO! !